The JVC VN-C11U Network has been discontinued. No direct replacement is available. 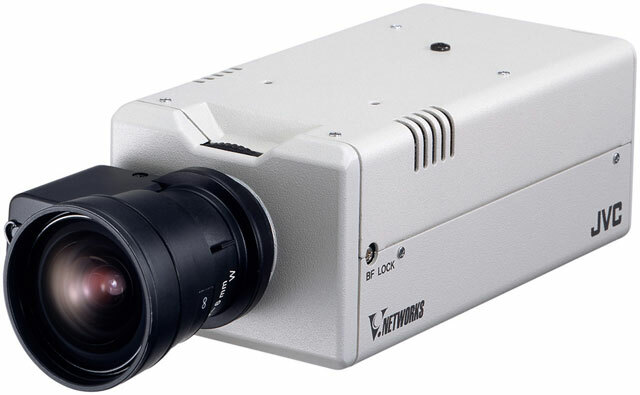 A versatile visual network system from JVC, VN-C11U Network, with its durable image delivery capability and comprehensive security functions, is an ideal choice for any remote video surveillance application. The VN-C11U Network is shipped with a built-in web server and viewer/controller software. In addition to JPEG still images, the VN-C11U Network features MPEG-4, today's most advanced motion picture compression technology. This enables faster and more reliable image delivery. Its Multi-casting capability allows the built-in web server to deliver the same high-quality images to any and all computers on your network. Other notable features include Pre/Post Alarm Recording, Motion Detection Function and Monitor Out.